Welcome to the Bach and Mozart Class page! KS2 BBC Bitesize Have fun playing our bitesize games for KS2. This term in geography, Year 3 have been looking at their local area (Manor Park) and comparing it to a different region of the UK (Cornwall). During this lesson, Year 3 re-created their local area using cardboard boxes of all shapes and sizes and a range of different materials. These were used to create buildings and key features within Manor Park. We identified the different features of the local area and included these in our designs. This term in topic, Year 3 have been exploring Famous buildings. As part of this, we have hosted a topic afternoon where we invited our friends and family to join and help us to construct our own buildings. We explored many different types of buildings from different parts of the world. We even had an opportunity to sketch and research the famous buildings into our books. Next, we designed and sketched our own building and constructed them with the support of our parents during our topic workshop. We used spaghetti and plasticine to construct our buildings. We thoroughly enjoyed this art block and look forward to the next one. During history themed term, Year 3 have been learning about the Romans. As part of their learning they had an educational visit to the Museum of London, where they explored a range of artefacts from the Roman era. When they were back at school, they used the educational visit as a follow up lesson to extend their learning in art and used clay to create their own Roman artefacts. They thoroughly enjoyed getting their hands dirty and loved showcasing their artefacts around the classroom. 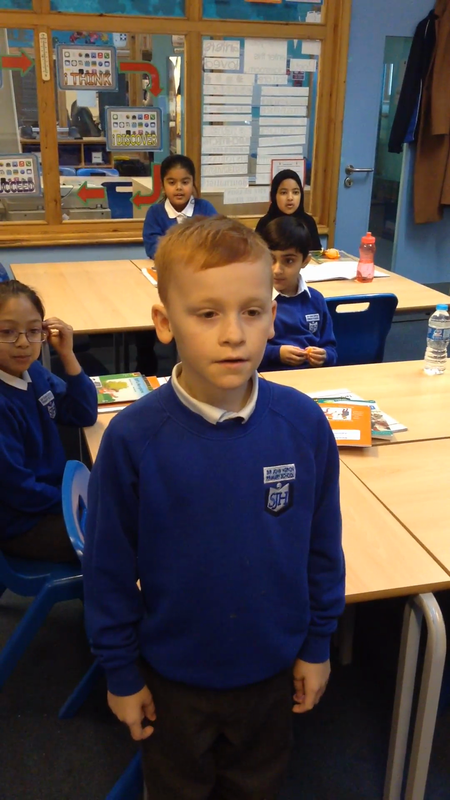 Here is a pupil in year 3 reflecting on his learning in history. In maths, we have been using Dienes to enhance our understanding about place value in three digit numbers. We know how 100, 10 and 1 are represented using manipulatives like Dienes. We can identify the value of each digit within a three digit number. In History lessons, Year 3 have become Archaeologists and have been exploring Prehistoric Britain. They have been researching the Mesolithic Era of the Stone Age and have created their own antler headdresses!